I was a very enterprising home chef during my 2.5 year relationship with Sonodoro. During that time, I had three entry-level jobs and figured out how to make the little money I earned work for our best interest. 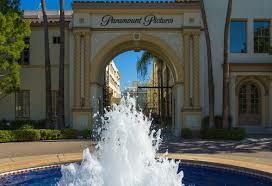 During our first year together, I was working part-time as a page at Paramount, giving tours and wrangling studio audiences. (People from all over the world visit L.A. and when they do, they often include a taping of a TV show. Sometimes groups from various half-way homes (drugs, jail etc) took excursions off campus to visit see a TV taping.) While I was paging, Paramount had a number of multi-camera sitcoms and one talk show (Dr. Phil), all of which had/have a studio audience. Each tape day, the personality of the audience was unpredictable, but when there was a favorite guest star, the audience would go into “Toddler Mode” (unruly, winey, rambunctious). Most notably, this would happen when Smokey Robinson was a guest star on “One on One.” As soon as his scene was done, women ALWAYS requested to use the restroom. And me standing at 4 11.5 was usually the wall that would stop them and their nefarious plans. No, you can’t use the rest room. Yes, I know the scene is over and Mr. Robinson left. No, I won’t give him a message. Yes, I think he is a very handsome man too. I am too prideful to ask for help. During these times of entry-level jobs, I was also too impressed at my creativity and awesomeness that I was able to still be a good home chef and girlfriend by taking care of my man. I’m making it work, by golly: I get leftovers from the shows I work on, special events I staff and stolen double coupons. When Sonodoro’s mom insisted on using her food stamps to buy us food I was conflicted…. I didn’t like it because she was insinuating I wasn’t able to take care of my man. I was worried that she was spending money she didn’t have. Mostly, this magnanimous act of generosity was often leveraged against Sonodoro to encourage him to do something for her (which usually involved spending more money than the charity she bestowed upon us). I knew that she didn’t like that Sonodoro lost weight because of my cooking. (Standing at 5’7”, he went from 250 to 228 during our relationship. Clearly my cooking that minimized fat, sodium and sugar was not good for him. And, clearly Sonodoro’s weight loss was a problem for her. I had the reverse problem with her food choices. When she took Sonodro shopping, she would choose her favorite foods, which were laden with salt, sugar and/or fat. She can buy some of what she thinks we need and I sent him with a grocery list. Stews or casseroles were easiest to combine vittles purchased through food stamps and table scraps from caterers. The meal I most often cobbled together from the throw-away food days was Chicken Pot Pie. Ratios and types of ingredients were contingent on the leftovers, what I had coupons for and what Sonodro’s mom purchased for us. Frozen piecrusts that come in their own tin. When baking the pie or casserole, put the dish on a baking sheet. As an alternate to pot pie, top the casserole with pull and peel biscuit dough. While sautéing and lightly cooking onion and potatoes bake one pie crust for 10 minutes on 350* (middle rack). In a large pot, make a roux using chicken broth. When your roux is complete, add the rest of your veggies and lightly cook for 10-15 minutes until they’re slightly more cooked than raw. Then add your chicken and cook a little longer. When your pie crust is sun kissed, take it out of the oven and fill it with your veggie and chicken concoction. Bake your pie on 350 for 45 min – 1 hour. This entry was posted in Dinner and tagged Budget Cooking, Chicken, Chicken Pot Pie, Food Stamps, Leftovers, Museum of Television and Radio, One on One, Page, Paley Center for Media, Paramount, Smokey Robinson, Sonodoro. Bookmark the permalink. I’m so glad that you like the blog and that you’re learning a lot!